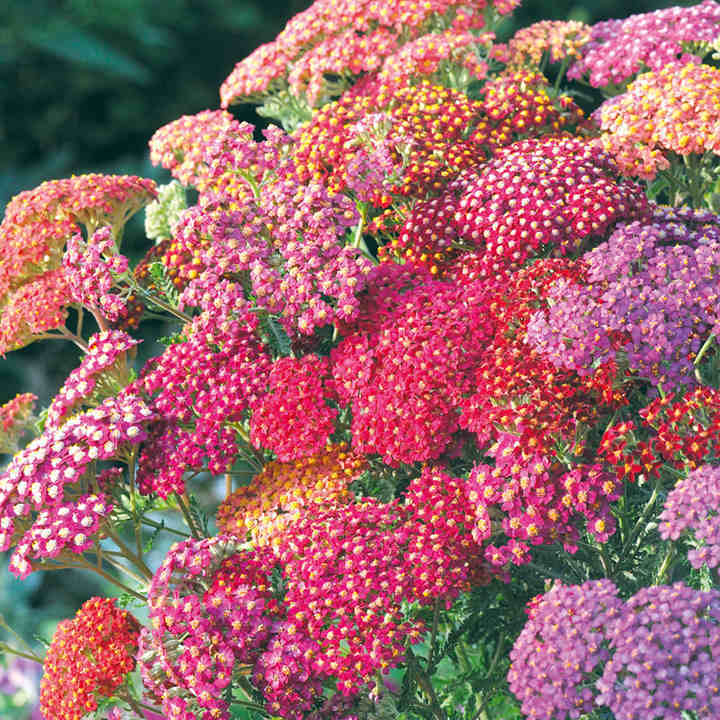 Also known as yarrow, ‘Summer Berries’ is an easy perennial cut flower to grow. The ferny foliage and large, flat flower clusters look incredible in the middle of a border and give your garden a quintessential cottage garden look. They will attract bees and butterflies aplenty to your garden from June-August while they flower. The flowers make a hearty filler in any display, plus they can be dried for use around the house in the winter months. Height 60cm (24”). Rob's Fillers - Fillers are the ‘can can’ girls of the arrangement, they look impressive but they are there to support the Thriller. They also help ‘fill out’ the arrangement and make it look bigger and bolder. Can be sown from February-June or September/October in trays of good quality compost. Cover with a very thin layer of compost, as the seeds need light to germinate. Place in a propagator at 15-24°C (59-75°F), or cover with a clear bag and place on the windowsill. Germination 7-12 days. Pot on into 7.5cm (3") pots or trays at a cooler temp. Harden off and plant in full sun with free draining soil. September/October sown plants benefit from overwintering in a cold frame or cold greenhouse. Plants from an early sowing will flower in the first year. Ideal for beds and borders, patio pots and containers. Attractive to butterflies and bees.